Who wants some honey? Honey is a fantastic addition to your food storage. 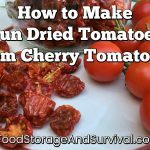 Besides being delicious, it stores FOREVER. 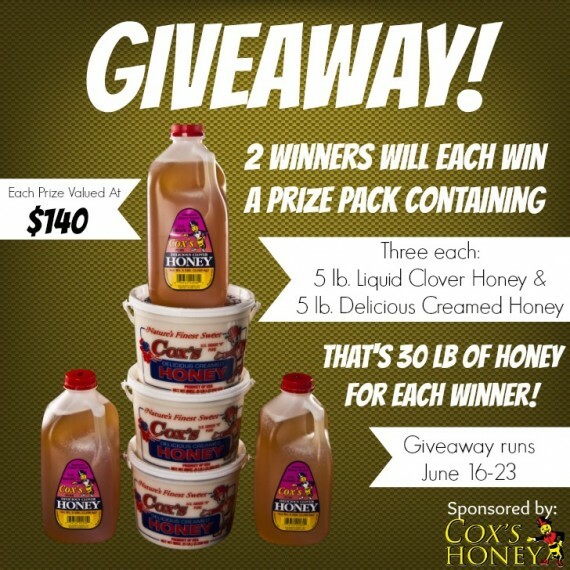 Today’s giveaway features a prize pack of honey great for using every day or storing! This giveaway will have 2 winners who will each receive three 5 lb containers of liquid honey and three 5 lb containers of creamed honey. I know, your mouth is watering right now for this fabulous giveaway! Winners must be 18 years or older and reside in the 48 Continental United States (shipping outside of that area just gets too costly, sorry!). The giveaway runs through June 23, 2014. We will notify the winners by email and they will have 48 hours to get back to us or another winner will be chosen. Please be sure and sign in with an email you check regularly and then remember to check your emails as well as your spam folder. Good luck everyone! Jennifer @ Are We Crazy Or What?